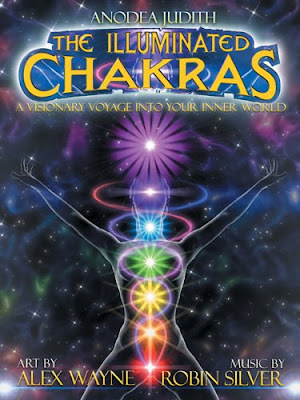 I describe chakras as organizational centers for the reception, assimilation, and transmission of life energy. They are spinning vortices of energy, generated from the core of the body at the major nerve ganglia. 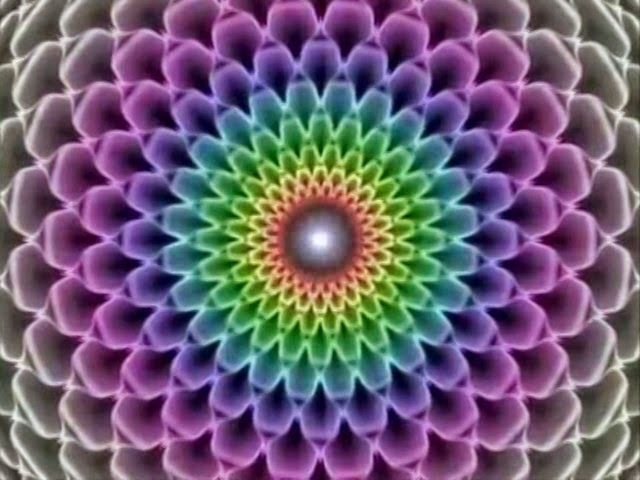 The word "chakra" literally means wheel or disk, and like a floppy disk, each center contains habitual patterns, or "programming," that enables our life force to interact with various kinds of energy, such as physical, sexual, emotional,mental, or spiritual energies. If we have "bugs" in our program, then we can have trouble dealing effectively with one or more of these important levels. Then we have to do the work of "getting the bugs out" so our life flows more smoothly at that level. I also think of chakras as chambers in the temple of the body. Within each of these chambers, we handle various aspects of the human experience, briefly described as: survival, sexuality, power, love, communication, intuition, and understanding. Metaphorically, chakras are the inner psychic gears that move us along the journey of life! If we want to get up to speed, we need to work our way through the gears. Basically, a chakra is a vortex of energy, and there are an infinte number of them. San Francisco is a vortex of energy; so is a convention hall. In the body, there are chakras in the hands and feet, and many people postulate chakras above or below the body. 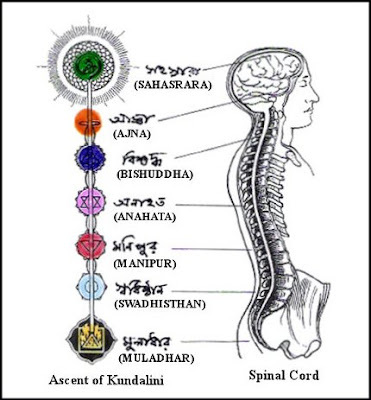 The system of seven chakras is ancient and profound, and maps so conveniently onto the physical body, through the nerve ganglia and endocrine system, as well as metaphysical levels of reality, childhood developmental stages, periods of history, etc., that I find it to be a basic road map for the journey of consciousness. I believe that inherent within each of us is an archetype of wholeness that will take us home if we can allow it and trust it. If we have a model that reflects balance and integration (such as the chakra model, which incorporates spirituality AND the body), then we have a better shot at letting this wholeness emerge. Kundalini Shakti is the serpent goddess who lies asleep at the base of the spine, coiled 3 1/2 times around the first chakra, awaiting unfoldment. When she is awakened through any number of techniques, she unfolds and rises through the center of the body, piercing and awakening each chakra as she goes. When she has risen to the top or the crown chakra, then all of the chakras have been opened and a person is said to experience enlightenment !